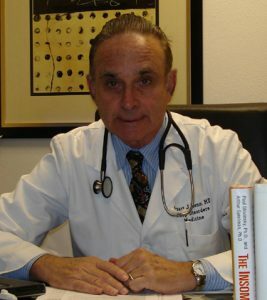 Stuart Menn, M.D., Palm Springs & Rancho Mirage | Advanced Sleep Medicine Services, Inc.
Dr. Stuart Menn has gained a reputation in sleep disorders medicine for his dedicated and conscientious work, both as a clinician and as a researcher. As a Board Certified Sleep Specialist, Dr. Menn’s expertise spans a wide range of sleep disorders. As a Board Certified Internist and Boarded Pulmonologist, Stuart Menn focuses on how sleep disorders interact when more than one medical problem is present. In 1984, Dr. Menn became the sixth pulmonologist in the USA to receive board certification in sleep medicine from the Association of Sleep Disorder Centers, the predecessor of the American Board of Sleep Medicine. In 2011, he became additionally boarded in sleep medicine under the auspices of the American Board of Internal Medicine. Dr. Menn began his professional career as the Medical Director of the ICU at the University of California School of Medicine, VA Hospital, La Jolla, CA. (1973-1980). With a growing interest in sleep disorders, Dr. Menn was the Co-Founder of the Scripps Clinic Sleep Disorders Center, La Jolla, CA. (1982-1996). Dr. Menn left Scripps to become a Co-Founder and Medical Director of Pacific Sleep Medicine, San Diego (1996-2001). He continues to practice in Palm Springs and Rancho Mirage.